Bob is a graduate of Bellevue H.S. and Heidelberg University. He has been a Realtor for 16 years, after owning a Bowling Center and being with the Professional Bowlers Assoc. for many years. Bob also started H.S. Bowling in this area and served as a coach for 19 years. Bob has 4 sons and 3 grandchildren. 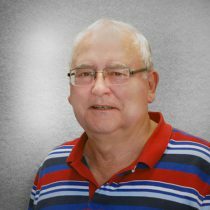 If you wish to buy a home, or selling your current home, Bob enjoys working with both Buyers and Sellers.